The pattern on the back of the chair matches the Prairie style grilles in my windows. Right height and wood-look (although I have no idea what rubber wood is! ), padded seat, free shipping. My husband is a perfectionist builder, so I certainly hope it's either real wood or looks it, i.e. not laminate. Hard to describe a purchase or experience before delivery of the product. But I'm hopeful. Checkout was a breeze. 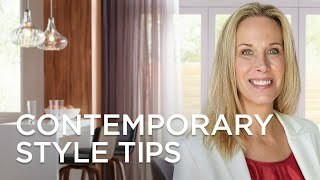 I liked the style, it is similar to my dining room chairs. And it was priced right. 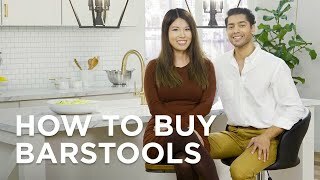 What is the height from the floor to the actual seat of this counterstool? BEST ANSWER: Hi - The seat height measures 24 1/2" H.
Are these in stock now? BEST ANSWER: Hi Judi - as of today, they are currently in stock. BEST ANSWER: The cushion thickness is approximately 2". It would be difficult to measure the thickness but I feel it is well padded and comfortable. When sitting on it it is soft and you do not feel like you are sitting on wood. The padding is thick enough to hold its shape and provide a comfortable seat. What kind of wood is this constructed from.? Measures 24 by 24 seems big compared to other stools ? BEST ANSWER: Hello - This counter stool has been constructed from rubberwood and MDF. As for the size dimensions, we've revised it to read 18 1/2" by 19 1/2". Thank you for bringing this to our attention. I plan to order two more soon. 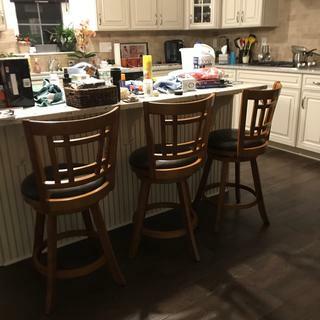 Love my new counter stools! Assembly instructions were clear and easy to follow and I’m so happy with the results! Still unpacking but counter stools are perfect in the new house!! Great chair, well made and looks great!! Great product, easy to put together and very sturdy cant beat the price. Very nice chairs. Difficult to assemble. We all like them. I like them, but the wife doesn't. What can I say? Hi Janet J., truly sorry for the confusion on the return policy. We hope this small mix-up doesn't ruin your entire experience with Lamps Plus. This item is advertised on the page as Free Shipping on the product page and does not make a claim of Free Returns. If you'd like to discuss this any further or would like any clarifications on our return policy, please feel free to reach out to our customer service team at any time for assistance. Thank you.